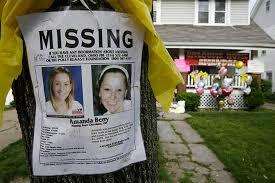 One of the most serious assault and threat crimes in the State of New Jersey is kidnapping. That’s because kidnapping conjures up images of dramatic abductions and ransom demands for millions of dollars. However, the reality is that kidnapping charges can stem from ordinary situations that simply got out of control. For example, kidnapping charges often arise in domestic violence incidents involving a heated argument between a husband and wife. Kidnapping charges are also extremely common in divorce cases and child custody disputes, with one parent “taking” their child without the permission of the other parent. Regardless of the circumstances of your kidnapping charge, the potential penalties are significant; that’s why it is imperative that you speak with an attorney immediately. The Tormey Law Firm is a criminal defense team with attorneys who will fight to protect your legal rights. We have years of experience defending clients against kidnapping charges in Essex County, NJ, including Montclair, Belleville, and Verona. Travis J. Tormey, the firm’s founding partner is a skilled litigator who previously worked at the United States Attorney’s Office, as well as two of the largest criminal defense firms in New Jersey. Our skilled litigators will do what is necessary to attack the prosecution’s case and help you achieve the best possible result. If you have been charged with kidnapping in New Jersey, call the Tormey Law Firm now at 201-654-3464. A member of our criminal defense team will be happy to speak with you about your case and help you understand your legal options. The New Jersey kidnapping statute, set forth in N.J.S.A. 2C:13-1, covers a wide range of conduct. Generally speaking, kidnapping occurs anytime a person is unlawfully removed from a place without their consent and then detained against their will. Kidnapping is ordinarily classified as a first degree criminal offense. Anyone convicted of first degree kidnapping may be sentenced to 15–30 years in New Jersey State Prison. If the victim was released unharmed and in a safe place before the defendant was apprehended, the kidnapping charge may be classified as a second degree criminal offense. A conviction for second degree kidnapping is punishable by a sentence of 5–10 years in New Jersey State Prison. Additionally, the No Early Release Act (NERA) applies in kidnapping cases. 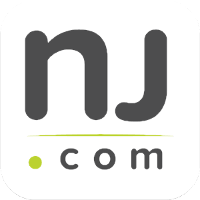 This means that a person who is convicted of kidnapping in New Jersey will be required to serve at least 85 percent of their sentence before becoming eligible for release on parole. It is an affirmative defense to a kidnapping charge that the defendant reasonably believed that they needed to take the victim in order to protect them from imminent danger. If you took the victim away from a dangerous situation, it might be possible to get the kidnapping charges dismissed. It is also an affirmative defense to a kidnapping charge that the defendant reasonably believed a parent or authorized state agency had consented to the taking of the child. The court will make a determination about how reasonable your belief was and then decide whether the kidnapping charges should stand. Although kidnapping is the most serious charge of this nature, the lesser charges of criminal restraint and false imprisonment both carry significant penalties. Basically, any kind of unlawful physical restraint can result in a false imprisonment charge, which is punishable by a sentence of up to 6 months in county jail. If the unlawful physical restraint places the victim in danger, you may be charged with criminal restraint and be subject to a sentence of 3–5 years in state prison. The criminal defense lawyers at the Tormey Law Firm will do whatever it takes to beat your kidnapping charges. Call us now at 201-654-3464 to speak with one of our experienced litigators, or email us to schedule a free consultation at our Newark office.